Running low on gift ideas? Home > Blog > Running low on gift ideas? As the holiday season tends to sneak up on us, this is usually the time of season when people start to get hit with what they call, ‘holiday stress’. Appropriately coined, it can be a daunting, stressful experience trying to gather everyone’s Christmas gifts. It’s always fun until it gets to be too close and then, if you’re like me, you start sweating bullets. But ready or not, we rise to th e challenge because gift-giving is a wonderful way to let the people close to us know that we are thinking of them. Getting gifts, when accomplished in advance and leisurely, is fun, satisfying, and, sometimes, even easy. But some people are never easy to shop for. There’s one in every family. When you find yourself in this situation, gift cards are extraordinarily handy! A gift card to a cool place like Everything Summer Camp can work just as well as a gift that’s right on the money. With a suggestion like our store and a nice amount of money, our virtual gift card certificates can make the perfect gift. Kids spend hours on our website, shopping our departments and finding what they like most. Here at Everything Summer Camp we have a massive assortment of not only fun camp supplies that kids can enjoy, but practical and quality camping gear as well. Our C&N Footlockers make great presents for all ages! For all kids with summer camp on the horizon, students entering college, or simply for a family member’s attractive-looking storage unit around the house, our camp trunks make classy gifts. I still remember when I got my C&N Footlocker for Christmas so many years ago! And I still get great use out of it! 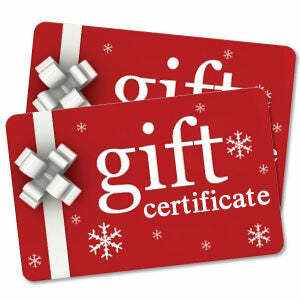 Give a campy gift this year with a virtual gift card certificate to Everything Summer Camp. Happy Holidays, Readers! As always, thanks for reading.